Q. What does the MP3Info plugin do? Q. Does this metadata conform to any standards? Q. Which ID3 version does MP3Info support? Q. What are the different MP3 variations supported by the MP3Info plugin? Q. What kind of metadata is in a MP3 Audio file? Q. 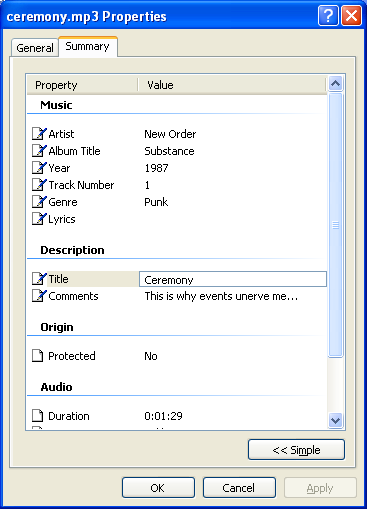 How do I edit meta information in my MP3s? Q. How do I turn on MP3 indexing in Zoom? Q. How do I allow users to search for meta info in my JPEGs? Q. How do I index specific internal meta information? Q. How do I link text to to an MP3 to make searching more accurate? Q. How do I link icon/thumbnail to an MP3 to make searching more meaningful? Q. How do I search for MP3s with specific technical information, for example all Layer 3 MP3s sampled at 44.1kHz? Zoom Search Engine v5.0 introduces a new feature that allows users to search for MP3 files like those used by Winamp or iTunes. 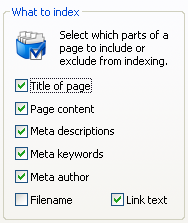 Searching is carried out by using metadata associated with the file. MP3 files are capable of storing textual data to provide more information about the MP3 as well as technical metadata in the file that details the MP3 conversion parameter such as bitrate, sampling rate, song duration, etc. The MP3Info plugin extracts this metadata and allow Zoom to index this metadata according to its configuration. Although it is most likely that the technical information is present, it is quite common for the informative metadata to be missing from these files. Yes. Digital audio files can contain, in addition to the audio track, related text like Song title, Artist name, Album name, Year and Genre. It is commonly referred to as "tagging" in which you "tag" the audio file with additional information that describes the audio file. The standard employed by most MP3 media players is the ID3 ("IDentify an MP3") standard. MP3Info extracts meta information based on the ID3 standard. The MP3Info plugin support ID3v1.0. ID3v1.1, ID3v2.2 and ID3v2.3. The MP3Info plugin support constant and variable bitrate MPEG 1 and 2 (Layer I and Layer III). All channel modes (Stereo, Joint Stereo, Dual Channel and Single Channel) are also supported. 1. Right-click on the MP3 and select "Properties". 2. You can only edit "Title:" and "Comments:" in the Simple view. Toggle the button to go to the advance view. 3. Enter the "Title:", "Artist:", "Album Title:", "Year:", "Track Number:", "Genre:", "Title:" and "Comments:". You can choose to use third-party software to edit informative metadata in your MP3 files. MP3 organizing programs like Winamp and iTunes allow you to edit meta information about the MP3 through its GUI. Try searching on the internet for "edit metadata mp3" or "edit id3" for a list of alternatives. Before you can configure how to index MP3 files, you need to download the MP3Info plug-in and place it inside Zoom's "plugins" folder and restart Zoom. 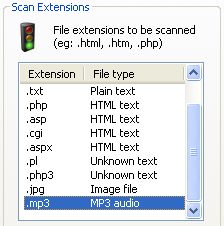 Go to "Configure: Scan Options" and add ".mp3" extension into "Scan Extensions". You have now turned on MP3 indexing. Double-click on the .mp3 file extension in "Zoom Indexer Configuration: Scan Options:" to bring up the "MP3 indexing options". To allow users to search for informative metadata in your MP3 files, check "Retrieve internal meta information". To allow users to search for technical data in your MP3 files, check "Retrieve technical data when available". Zoom can index MP3s according to the "Indexing Options" from the "Zoom Indexer Configuration" window. The "Title of page" corresponds to "Title:". The "Meta description" corresponds to "Comments:". The "Meta keywords" corresponds to "Genre::" and the "Meta author" corresponds to "Artist:"
Notice how the linked text and the name of the linked MP3 name have been changed. This ensures better association of text to the linked MP3 file and will yield more accurate search results. Refer to "How do I link text to to an image to make searching more meaningful?" for an example. is an example of a poorly related text alternative tag because it associates generically "an MP3" with the linked MP3 file with no hint of the track name or the artist name. Notice how the text alternative tag (i.e. alt="Beta song by AB Band") and the name of the linked MP3 file have been changed to allow for better correlation between text and the linked MP3 file to ensure more accurate search results. Refer to "How do I link thumbnail to to an image to make searching more meaningful?" for an example. Make sure to check "Colon" from "Zoom Indexer Configuration: Indexing Options: Indexing words"
to allow colon to join 2 words. To search for all Layer 3 MP3s, use "Layer:3". To search for all MP3s sampled at 44.1kHz, use "Sampling:44.1kHz". Hence, to combine the 2, you will use "Layer:3 Sampling:44.1kHz" as your search words. Refer to "How do I perform advanced searches?" for more seacrh tips. Free for small personal websites (up to 50 pages). No advertising, nag screens, or time restrictions. No costly subscriptions. Once purchased, Zoom Search Engine is yours to keep.